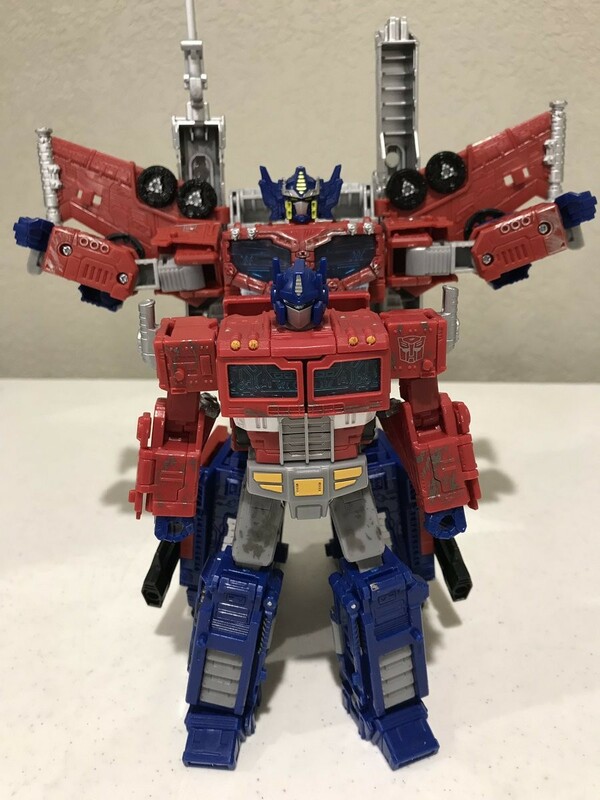 blackeyedprime wrote: The side profile pic of Optimus makes the head and arms look to be set unnaturally far back, didnt notice that on the Magnus figure. Really dont like it. 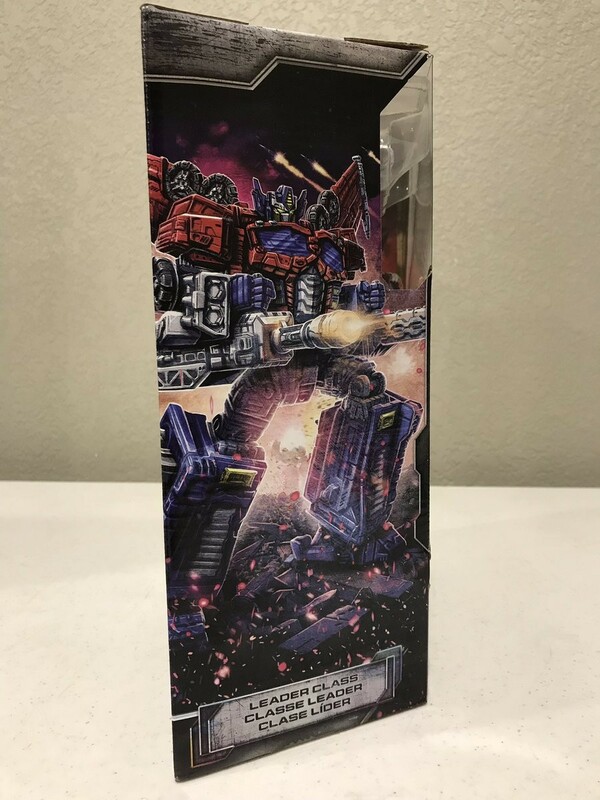 Even when it was announced I wasnt happy and now seeing it compared to Voyager Prime its just gash. Plus the extra 20-30 quid aint worth it. 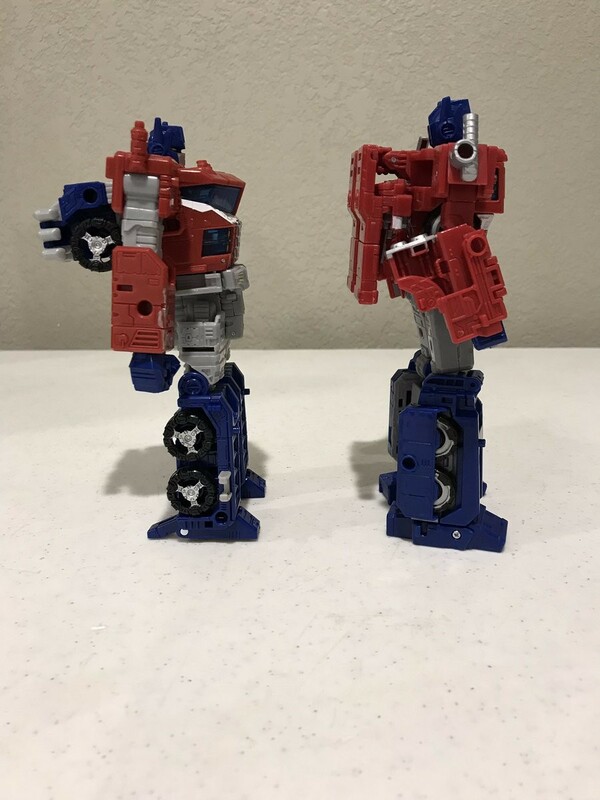 The top half slides forward and back, other in hand photos have had it slid forward slightly line up his shoulders with his hips. These photos have him slid all the way back and leaning back. Wow these pictures just illustrate how much quality had dropped over the last decade. 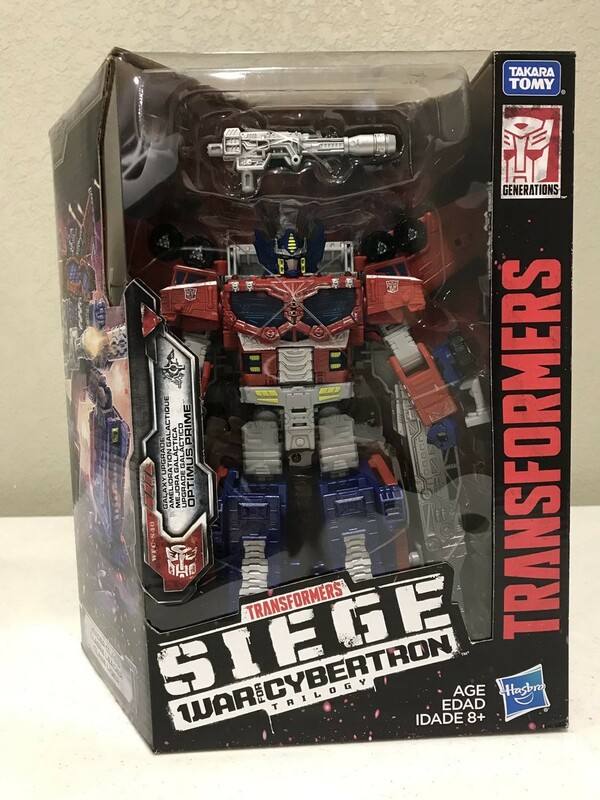 Siege Cybertron Prime looks like a poor knockoff compared to the original. 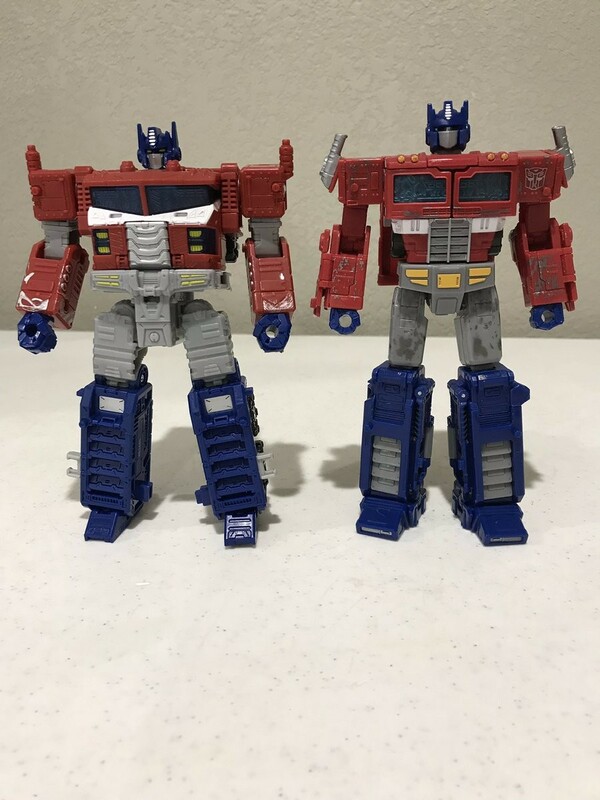 The plastic on the original looks better, the sculpt is cleaner and more defined and everything appears to peg together much better on the original. Plus the original has more accessories and light and sound gimmicks. I can't help but feel a little sad that Siege Cybertron Prime is 2/3rds the size of the original with lower quality and basically the same price tag. whacko wrote: Wow these pictures just illustrate how much quality had dropped over the last decade. These are different toys though, and one is not meant to replace the other. Its just a new toy of that design (the third one, in fact). 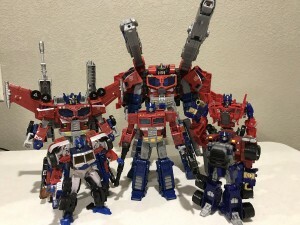 The whole point of this toy is that you can include this design within one's generations collection with the same level of articulation and scale at the rest of the line. I'm on a business trip right now, where I found Six-gun. 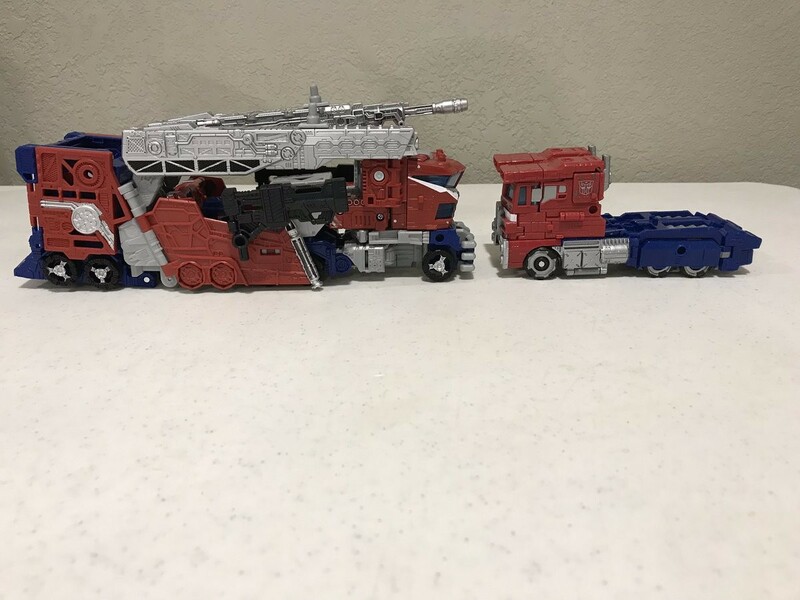 As soon as I get home, I'll snap some with Cog and Fort Max, and Six-gun and Metroplex. 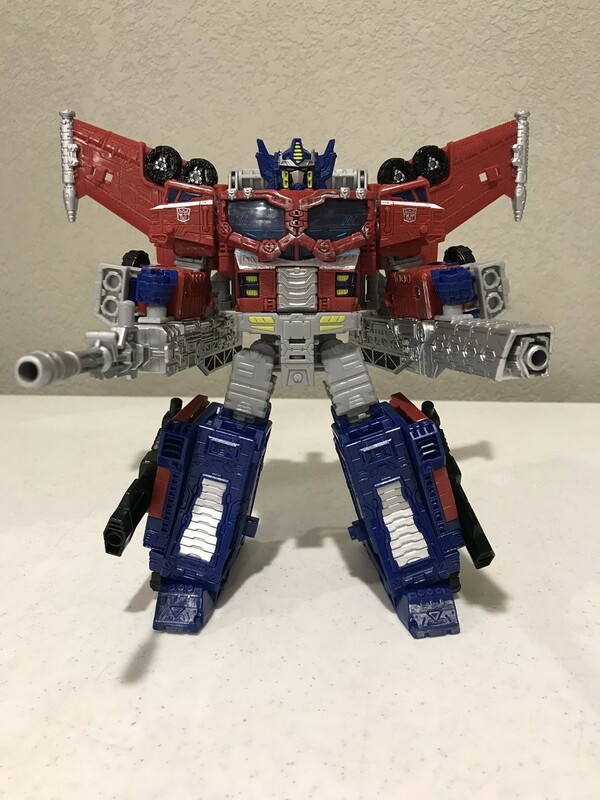 I've already preordered this guy for 15% off which is pretty good. 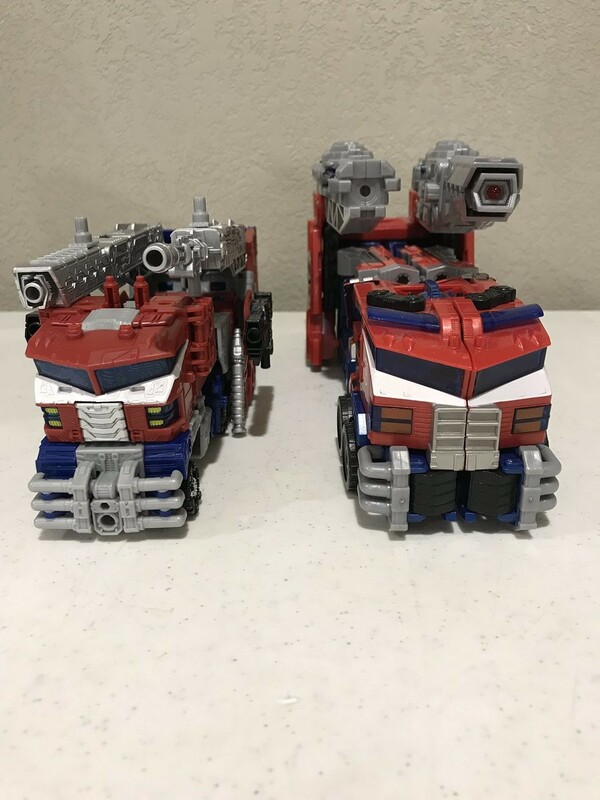 But his vehicle mode is really unstructured. 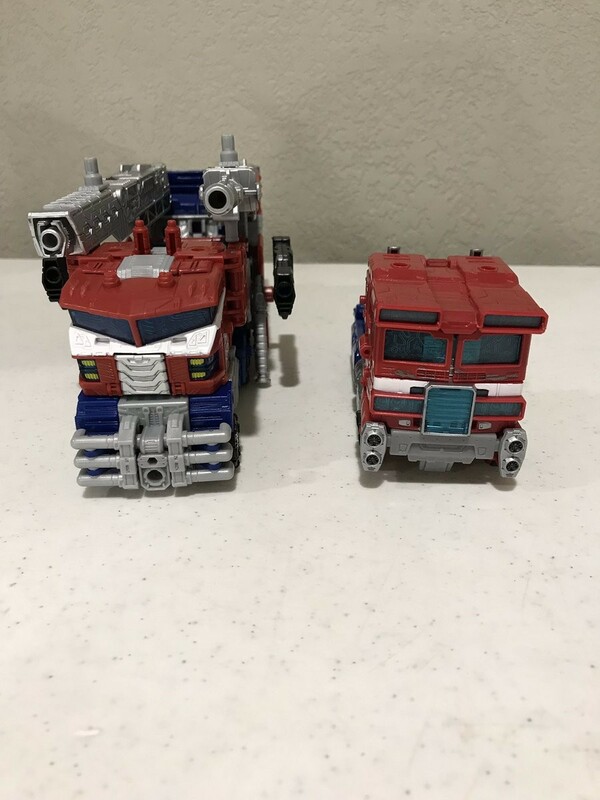 The old figure has a nice sleek truck but the new one is just a bit of a mess. He's missing a wheel at the front and the rear of his trailer is straight instead of being angled which makes him look clunky. The robot mode is nice, but the truck could be a lot better. Whirlkick wrote: I've already preordered this guy for 15% off which is pretty good. 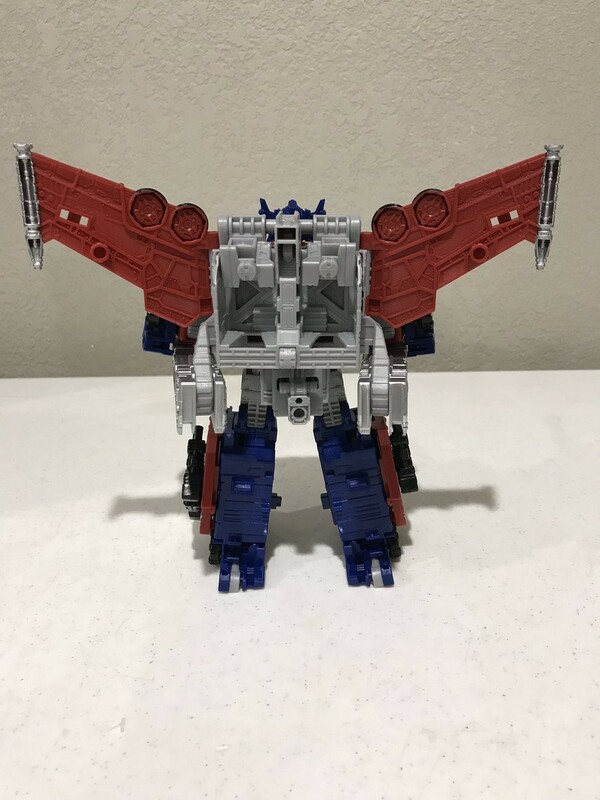 But his vehicle mode is really unstructured. 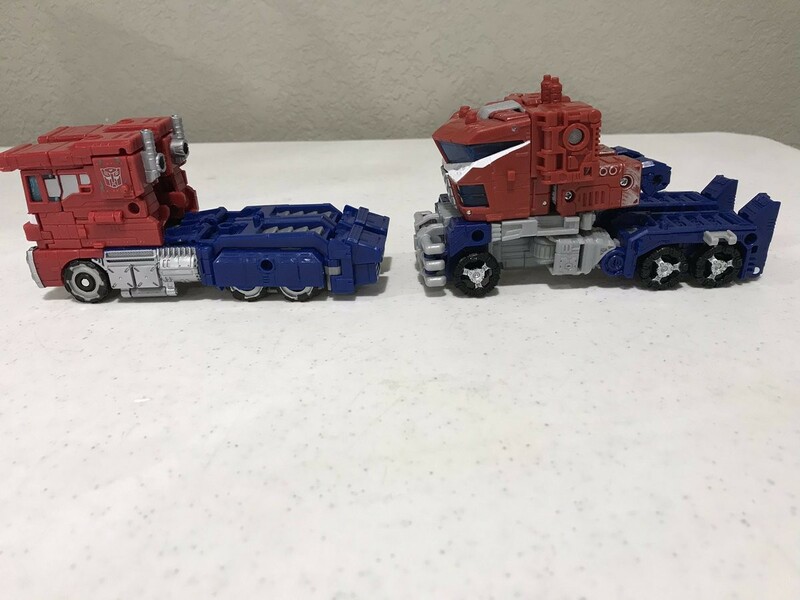 The old figure has a nice sleek truck but the new one is just a bit of a mess. He's missing a wheel at the front and the rear of his trailer is straight instead of being angled which makes him look clunky. 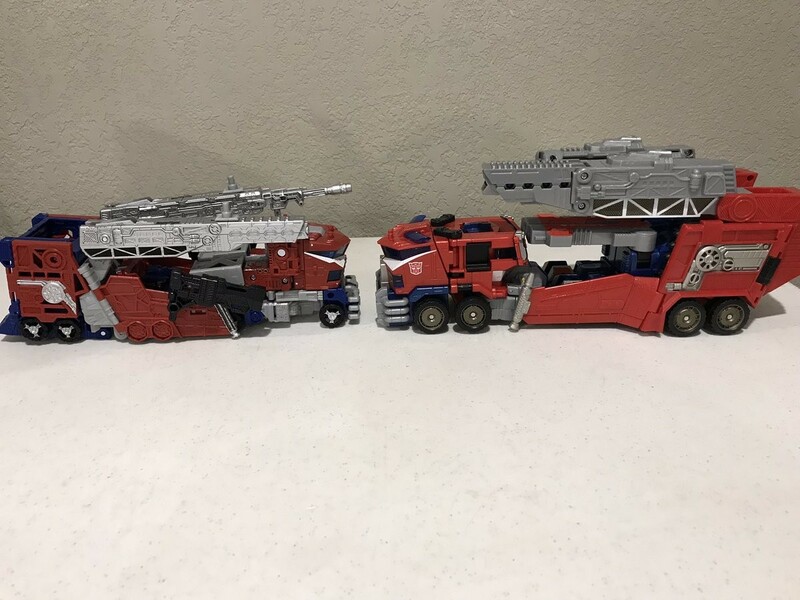 The robot mode is nice, but the truck could be a lot better. Gross. Another small voyager being sold at a leader price point. 4,519 pages were recently viewed by 887 unique visitors. This page was viewed 1 times on Saturday, April 20th 2019 8:01am CDT. © 2019 Seibertron, Inc. DBA Seibertron.com. All Rights Reserved. Established June 2000. Seibertron.com is owned by Ryan Yzquierdo.